At this time of year, when The Art Newspaper publishes its annual round-up of museum visitor figures, it is fascinating to see how venues around the world have performed. However, a “league table” only tells part of the complex story of how cultural institutions reach and engage audiences. Numbers are a crucial metric but should not be the only thing we consider. 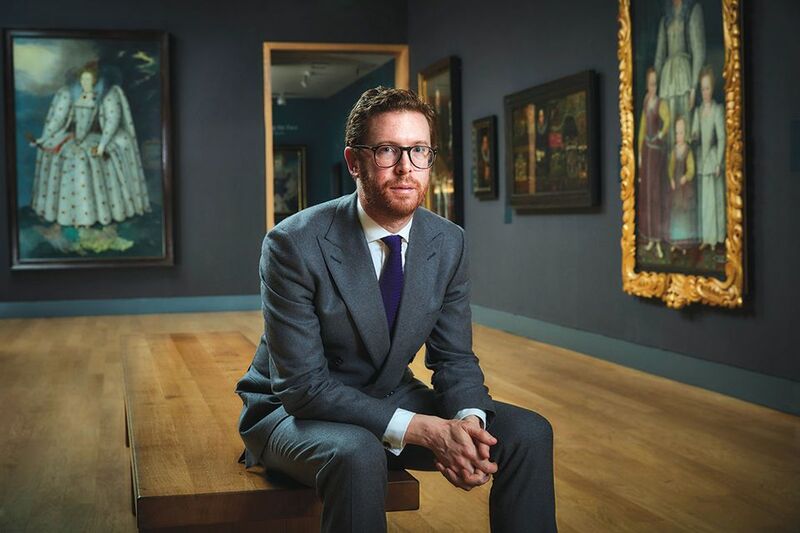 In the past year visitor figures at the National Portrait Gallery in London have come under scrutiny, partly because of a now rectified error in counting free visits and because, like many attractions in the capital, we have seen a decrease in numbers. It had been suggested that some of our contemporary programme was causing this fall in attendance. If the implication of this criticism is that we and other museums should not programme contemporary artists (which in our case happen to be mostly women) and only feature well-known names, I think we have a problem with metrics that focus on quantity alone. Obviously, attendance is important for a UK national gallery. It is crucial because we exist to be free to the public and the widest possible audience. So, we want to reach out to new visitors, and it is not just the number of people. It is who they are. Engaging underrepresented groups is core to our activity. The effect of our programme in the second half of 2018, including Michael Jackson: On the Wall (however contentious that subject now is following the broadcast of the Leaving Neverland documentary), Black is the New Black, and the unveiling of the Malala Yousafzai commission, was that from October to December a third of our UK visitors were from black and minority ethnic groups, 45% of all visitors were under 35 and 25% were students or from lower socio-economic groups. Attendance is also important financially because, of course, if your visits fall it can have an impact on your budget and, as a charity, which needs to self-generate 70% of our funding, raising income is vital. Ticket sales for popular exhibitions, such as Vogue 100 and Cézanne Portraits, bring in significant income, but exhibitions also lead to spending in the shops, restaurant and funding through corporate events, sponsorship and touring. Different exhibitions will be successful in different ways; retail sales for our Howard Hodgkin show outperformed other exhibitions with higher visitor figures as we were able to sell some beautiful limited-edition prints by the artist. Other exhibitions may not attract “blockbuster” numbers but are important in addressing our historic remit and commitment to scholarly research and providing new ways of thinking; the annual BP Portrait Award and Taylor Wessing Photographic Portrait Prize attract thousands of submissions from across the world and give opportunities to artists of all ages. Many of our projects tour nationally and internationally, reaching audiences much wider than those who can come through our door on St Martin’s Place. We want our programme to be relevant, energetic and engaging. It would be easy to opt only for the most established names with the most recognition, but would it be very interesting? Would it contribute to a discussion or speak to different audiences? Over the past two years, during a period of debate about gender equality in the art world, we have featured the work of female artists such as Gillian Wearing, Claude Cahun, Njideka Akunyili Crosby, Marlene Dumas and, coming up in 2019, Elizabeth Peyton and Cindy Sherman. Our Tacita Dean: Portrait exhibition was an unprecedented collaboration with the National Gallery and Royal Academy—and a historic project for the gallery as our first ever exhibition of film. Michael Jackson: On the Wall broke new ground in its challenging themes and the diversity of the 48 artists featured, which included a predominant number of black artists such as Faith Ringgold, Kehinde Wiley, Susan Smith-Pinelo and Lyle Ashton Harris—something which was mirrored in the audience who came to see it. Attendance is obviously important, and we should, of course, celebrate the exhibitions that welcome large numbers. But we should be very cautious not to make this the only way we judge success or to diminish the (necessarily) multifaceted achievements of museums and galleries and the different roles, remits and audiences, both large and small, they exist to serve.